Stomachache or abdominal cramps refers to pain occurring in the abdominal area. There are many things that can cause stomachaches such as stress, indigestion, nausea, menstrual cramps, or other cramps. Stomachaches can lead to loss of appetite, restlessness, and discomfort; it can be very painful. Dietary and lifestyle changes can help solve stomach problems. These natural home remedies and tips will help you get rid of stomach problems and keep you happy and healthy. 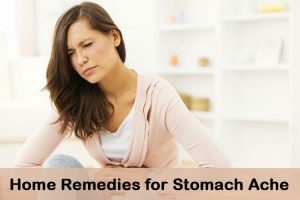 Everyone will experience stomachaches at some point in his or her lifetime and the following natural, homemade remedies will help relieve pain and discomfort associated with stomachaches. Ginger contains anti-inflammatory properties, which help increase digestive juices and also neutralize the stomach to provide quick relief. Ginger also contains a strong antioxidant called gingerols which will decrease the production of free radicals and reduce the damage to your body, which relieves pain. Stir in a piece of dried or grated ginger in a cup of warm water. Lei it steep for about 5 – 7 minutes. Strain and drink twice a day will help relieve stomach pain. Eat a piece of peeled ginger regularly or add ginger to your meals for better results. If you’re sensitive to ginger, you can consume it either in supplements or by drinking ginger ale. Eat ginger candies and drink soda contains ginger flavor. Regular intake of ginger in any way helps to cure your stomach problems. Chamomile has anti-inflammatory and sedative properties, which will lessen abdominal discomfort. Chamomile tea also helps to relax the muscles of upper digestive tract and relieves spasms and tummy cramps. Mix 2 teaspoons of dried chamomile in a cup of boiling water. Let it sit for about 15 – 20 minutes and strain. Add little lemon juice and honey as per taste. Drink this tea regularly to get relief from stomach pain. You can also use chamomile tea bag to make the tea. Note: Avoid drinking this tea if you are pregnant or suffering from ragweed allergies as it may result in a harmful reaction. Warm or hot compresses help to soothe stomach by loosening and relaxing the muscles. It helps relieve cramps, allowing you to feel more comfortable. Often, a cold compress will help relieve stomach pain as well. Take a hot pack, hot water bottle, or a clean old sock filled with uncooked rice warmed in the microwave. Lie down and put the hot compress on your stomach but make sure temperature is comfortable. Apply the compress for at least 15 minutes. Remember to reheat the compress whenever it loses its warmth. You can also take a hot bath to increase blood circulation and relax your muscles. The same process will have to be done to the cold compress. Repeat this process whenever you feel it’s necessary. Apple cider vinegar (ACV), a natural cleaner and antacid, helps to ease digestion by absorbing the nonessential nutrients. Stir 1 – 2 teaspoons of apple cider vinegar in a glass of warm water. Drink this before consuming your meals. Drink regularly to get relief from gas associated with stomachaches. Note: It is crucial to use apple cider vinegar, not other vinegars. Mint helps with proper digestion by stimulating the appetite and easing the pain associated with stomachaches. Add handful of fresh peppermint leaves to a cup of warm water. Let it steep for few minutes and strain. Drink the tea to get rid of the stomach pain. Note: You can also chew mint candy or take mint supplements. Lemons acidic property stimulates the production of hydrochloric acid to break down the food aid with proper and easy digestion. Lemons also help to keep the system flushed and run smoothly. Add freshly squeezed lemon juice to a glass of warm water and stir well. Sip the mixture slowly to get relief from stomachaches. Baking soda acts as an antacid and helps neutralize stomach acid to provide relief. Take a teaspoon or two of baking soda and mix into a cup of warm water. Drink this mixture slowly to get relief from indigestion and pain. Drink whenever you are experiencing indigestion. Fennel helps to ease indigestion and bloating. Licorice helps to increase blood pressure and may irritate any ulcers if taken in large amounts. Drink herbal tea which contains licorice and fennel. OR You can also chew a teaspoon of fennel seeds after completing your meals. OR Drink licorice tea whenever you suffer from stomach pain. Rice water acts as a demulcent, a substance that relieves inflammation by forming a soothing barrier over the membrane, or lining of your stomach. Cook rice over medium heat by adding twice amount of water. Remove from heat when it become. Let it soak with the lid on for about 3 minutes. Strain the water and drink it warm to reduce the pain. You can add honey to it. Eat the rice later as your meal. Planning your diet will greatly help eliminate stomach pain. Follow this diet to prevent stomachaches. Have a piece of toast to help neutralize toxins and prevent stomach pains. B.R.A.T. (Banana, Rice, Applesauce and Toast) foods help with digestion and upset stomach. Plain food like toast, pasta, yogurt, rice, oatmeal, etc. rarely irritates the stomach because it is easy to digest and helps the gastrointestinal tract function properly. Avoid oily, spicy, and unhealthy “junk” food, which is more difficult to digest and often results in stomach pain. Drink plenty of water, especially between meals. Avoid sauces, condiments, or excessive seasoning. Eat 5-6 small meals instead of 3 large meals. Eating larger meals may cause indigestion or nausea. Follow these tips regularly to get relief from stomachache. Drink warm salt water. Add a teaspoon of salt to a cup of warm water and drink. Avoid this if you are suffering from high blood pressure or have any heart conditions. Drink cola syrup, a thick liquid like your favorite cola to get relief from nausea, and stomachaches. Drink black tea or other beverages with tannins, which neutralize toxins. Drink aloe vera juice. It not only cures stomach pain but also treats constipation, cramps, gas, and other digestive issues. Acupuncture and acupressure and foot reflexology helps to treat stomach gas and pain. Eat yogurt, it contains probiotics which help to provide relief from indigestion and stomach pain. Have a diet that includes cherries, raisins, apricots and prunes as these foods contain fiber, which loosens the stool. For a child less than four years, make a puree of those ingredients. Toddlers should eat a half cup of this puree. It is recommended to eat dinner at least 2 – 3 hours before going to bed. Remember not to lie down immediately after completing your meals. Try yoga, meditation, deep breathing, spending time with children, or exercising to relieve stress. Stomachaches are pains in your abdomen that result in discomfort. They can be caused from many other things. Avoid worrying about this pain, and try some of the natural home remedies in this article to get quick and permanent relief from the stomachache without rushing into the local pharmacy for over the counter medications. If you find yourself regularly experiencing stomach pain, you should get medical attention. Have you tried any of these methods? Do you know any other methods to treat a stomach ache? Share your experience with us! 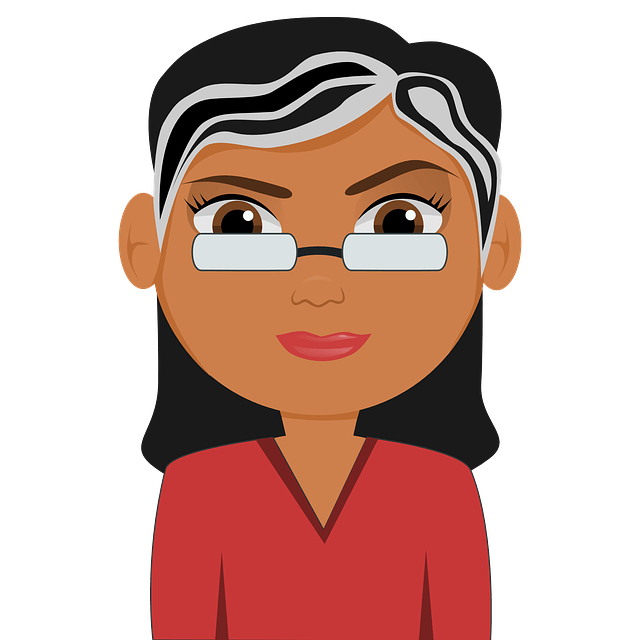 I sweat a lot on my armpits, head and face, the worst sweat is on my nose and forehead – as I am typing email, I am sweating on my face, nose and forehead, but the weather outside is partly cloud – it is summer here in South Africa… this sweat is severe. This embarrasses me when I stand up to talk to an audience or congregation (something that I do every weekend). I consulted my doctor, he advised that there is nothing wrong with me, perhaps I am just nervous. I not nervous!!! I sweat at home, at work, in a car, at church, when windows are closed I sweat a lot in summer, in winter when the heater is too hot I sweat a lot. Please help, what could be the cause of this, and what must I do to cure it? I had a friend with this problem. You need to shower twice as much use baby powder for ur wholebody and put deodrant under ur arms feet nose and forehead sounds weird but it works u can slowly make this problem go away **not regular deodrant prescription strength I had to use it once for feet ! Sucked couldnt comfortably wear shoes for more than hour and ig happened to suddenly also if the problem is more specfic like my friend it was under his arms if all failed I suggested botax because then you wont sweat under your arms ever!